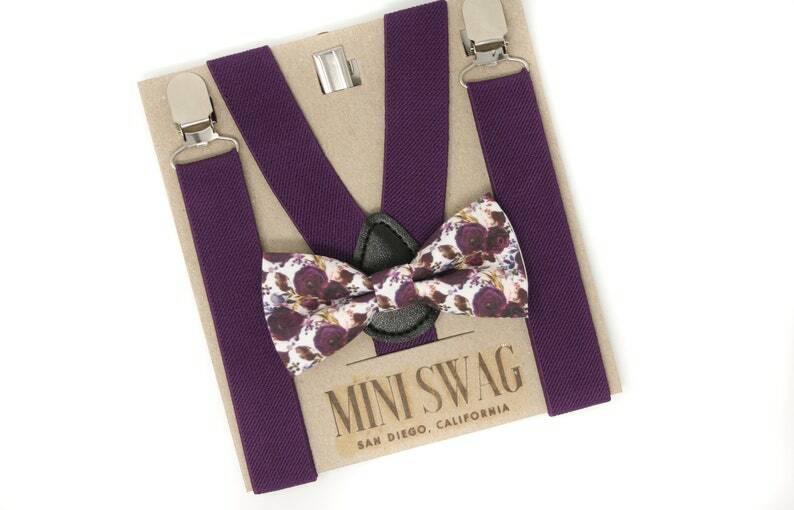 Your little one will be the talk of the party when he arrives sporting this beautiful plum floral bow tie & coordinating plum suspenders! Perfect for a ring bearer or page boy outfit, groomsmen, parties, cake smash or family photo shoot! The fully adjustable plum suspenders come in multiple sizes and are made with extremely stretchable elastic for a comfortable fit. The silver clasps easily attach to most clothing. So cute and supper fast shipping! Thanks so much!